As our master bathroom renovation is coming to an end (photos coming soon!) and now the decorating begins, online shopping consumes me! 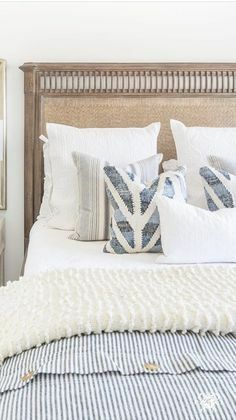 I like to pull together a vision for my space before purchasing anything – even if it isn’t these exact items, it gives me a concept to build off of. Here’s the concept I’ve come up with knowing I want a soft, dreamy, neutral bathroom. The big ticket item is the vanity and I’ve got my fingers crossed that we will find the perfect solid wood dresser-type vanity for our ensuite! A farmhouse sink on top is beautiful and will be the focal of the room. 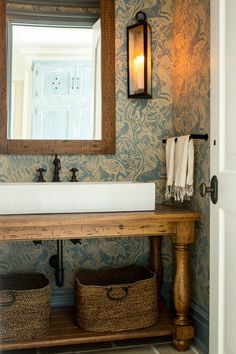 The white subway tile has almost become a staple in most bathrooms for the perfect backdrop to oil-rubbed bronze metals. 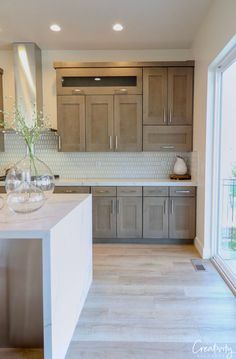 I love the wall mounted faucet, dark framed art pieces, and farmhouse style lantern sconce to contrast with the white tiles and pale neutral paint colour. 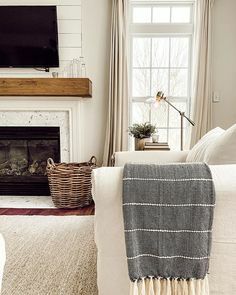 I also prefer to hang my towels off hooks rather than a traditional towel rod – decorative and practical!